The Global Overview is a weekly update that provides a snapshot of current humanitarian priorities and recent events. The Global Overview collates information from a wide range of sources, including Reliefweb and media sources, and displays this information in a manner that allows for quick comparison of different humanitarian crises. The primary objective of the Global Overview is to rapidly inform humanitarian decision makers by presenting a summary of major humanitarian crises, both recent and protracted. What are the sources used? The information within the Global Overview is obtained, from amongst others, Reliefweb, AlertNet, UN Situation Reports, IRIN, The Guardian, Al Jazeera, International Crisis Group, FEWS NET, The Humanitarian Early Warning Service, WFP Early Warning, Analysis and Crisis Support Newsletter. The Global Overview uses secondary data review and analysis methods to collate these sources. All emergencies are continuously monitored; information on countries that are currently included in the Global Overview country list is collected and chronologically archived in a specific narrative database. What is the source of the population data? The total population figure per country is based on information from GeoHives, UNData and the World Bank. How is the Global Overview generated? 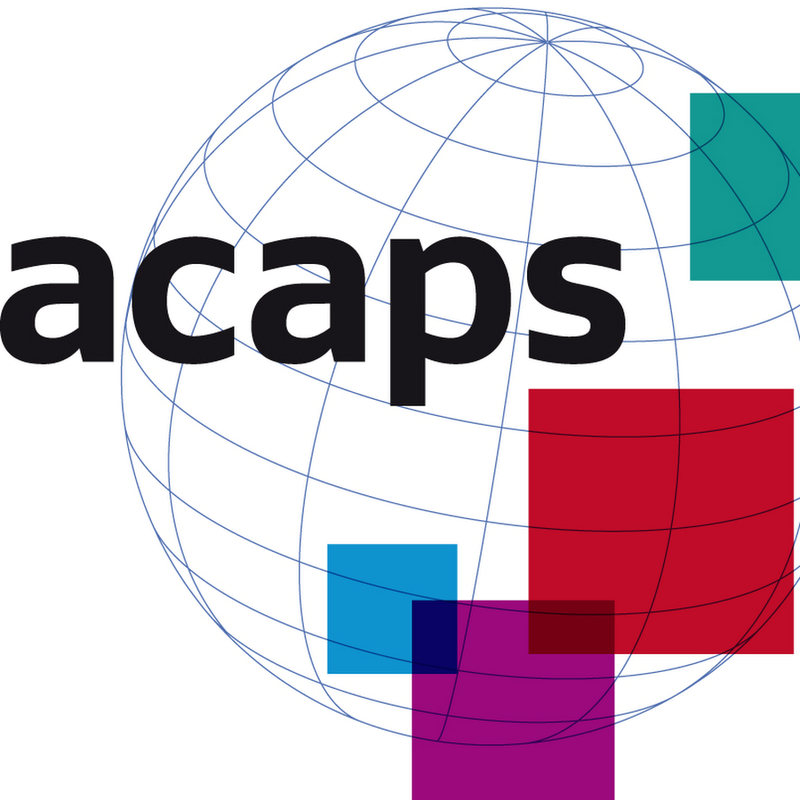 ACAPS reviews information on a pre-selected list of countries on a weekly basis, using secondary data that is compiled and updated daily, ensuring that on-going crises are monitored and new crises are highlighted. ACAPS prioritises all countries that meet the inclusion indicator. This indicator looks at whether there were any reported humanitarian needs for a specific country in the last eight weeks. If a country meets this threshold, ACAPS continues with prioritising the crises. The prioritisation of emergencies is based on a composite measure, which consists of five indicators. For each country, all indicators are examined and assigned a score between 0 and 3. The median of these scores represents the final score in the Global Overview and allows for subsequent prioritisation of the country (for more information see “How is the Global Overview score calculated”). The countries’ Global Overview score is reflected on the world map where priority levels are colour encoded with a blue shaded scale. The country narratives encapsulate the characteristics of the crisis as well as details about its impact. Narratives are written based on secondary data. This data is continuously collected and chronologically archived by ACAPS in a specific narrative database. In addition to the prioritisation of countries, ACAPS assigns highlights to crises that occurred in the last seven days. A highlight indicates either a significant new event which created humanitarian needs or an escalation of a protracted crisis. The snapshot describes the highlighted crises worldwide. A highlight can apply to all significant recent disasters or escalation of crises, including countries that do not appear in the Global Overview prioritisation. Possible examples may be events such as hurricane Katrina in the United States or an earthquake in China. How is the Global Overview score calculated? The number of recently affected people in a country defined as the percentage of the total population. The affected population is expressed as the number of people requiring immediate assistance during a period of emergency. Structural development problems (such as chronically food insecure, people living below poverty line etc.) are not included. In the absence of comparable data on how various crises threaten lives and dignity, the fraction of members of society who are considered affected by an emergency proxies as the best available impact measure. The information is obtained from media reports, information published by national governments and humanitarian actors, including the UN and NGOs. The levels of access humanitarian organisations have to the affected area and population is an indicator measuring to what extent the existing needs can be addressed by actors such as the government or humanitarian organisations. The prioritisation is based on secondary data from organisations operating in the field, information from the Aid Worker Security Database, the Landmine & Cluster Munition Monitor and the World Bank Landmine Contamination, Casualties and Clearance Databank. Displacement captures the IDPs and refugees present in-country before the start of the crisis as a percentage of the total population of a country. It reflects one of the underlying vulnerabilities of a country. The source for this indicator is DG ECHO’s Global Needs Assessment report. Human development index (HDI): HDI is a composite statistic of life expectancy, education, and income indices that ranks countries into four tiers of human development. For those countries that are not (yet) included in this ranking, e.g. South Sudan, an estimate is used. Each of the five indicators is assigned a score between 0 and 3. The median of these scores represents the Global Overview prioritisation. For more information on the methodology and the scoring of the indicators please refer to the Global Overview Methodology Brief. Why are there only two indicators for current impact and three for underlying vulnerability ? There are only few indicators available to measure the impact of crises and there is even less reliable data consistently available to use these indicators to be able to compare one crisis to another. Comparison of results during the pilot phase of the Global Overview demonstrated that the current methodology is responsive enough to changes in the situation captured by two current impact indicators against three underlying vulnerability indicators. Why are you measuring the relative proportion of people affected and not the absolute figures? In the absence of comparable data on how various crises threaten lives and dignity, the fraction of members of society who are considered affected by an emergency proxies as the best available impact measure. Applying a proportion of people affected instead of the actual figures address the fact that the impact of a crisis and the countries coping capacity is influenced by not only the absolute but also the relative number of people affected. For instance, 100,000 people affected by a flood in China does not have the same impact on recovery capacity as 100,000 flood affected people in a small country such as Gambia.